Find out where the city’s best-known gay meeting spot is! Explore the gay neighbourhood Schöneberg, the home of Marlene Dietrich. Visit the Eldorado, one of Berlin’s oldest gay and transvestite bars which was frequented by openly gay Nazi SA leader Ernst Röhm. Find out how openly homosexual and transgendered individuals found help from advocates such as Magnus Hirschfeld who ran the Institute for Sexual Science which was shut down in 1933. Discover how the Prussian King Frederick the Great and mayor Klaus Wowereit have shaped the history of Berlin. Walk through the Tiergarten – the city’s best known gay meeting spot in the shadow of the Berlin Wall. 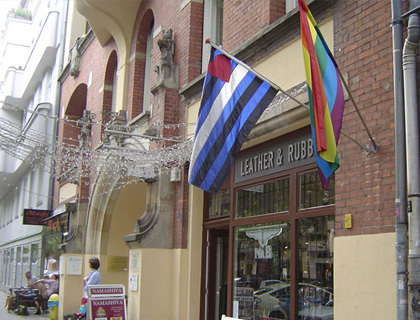 The tour will finish at the Gay Museum in the vibrant area of Kreuzberg. This tour will in parts make use of Public Transportation the costs of which are not inclusive. Please bring along a valid AB public transport ticket (approx. €7 per person for a day pass, prices are subject to change). Children 0 - 12 years old go FREE!